Icmeler Ephesus Tour is a great chance to visit one of the biggest open air museums in Turkey. This great ancient site has many attractions; such as Hadrian Temple, Library of Celsus, Grand Theater and also the Temple of Artemis. 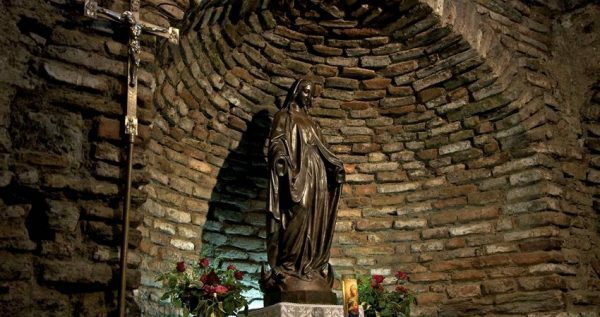 If you love history and would like to hear stories about antiquity, book this tour now. 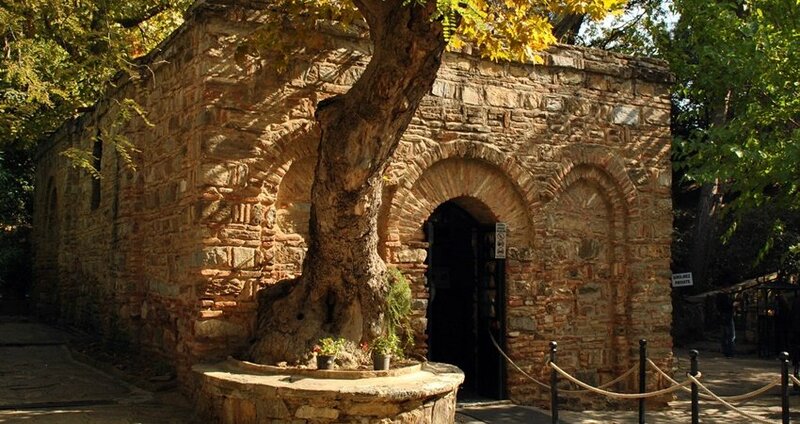 Ephesus is located around 190 km from Icmeler which is barely tree hour drive. 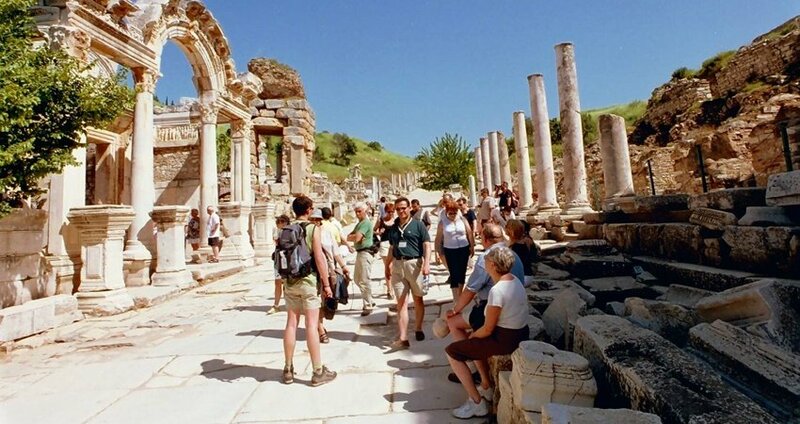 Icmeler Ephesus Tour is arranged by Excursion Mania for the ones who are interested in history & culture. 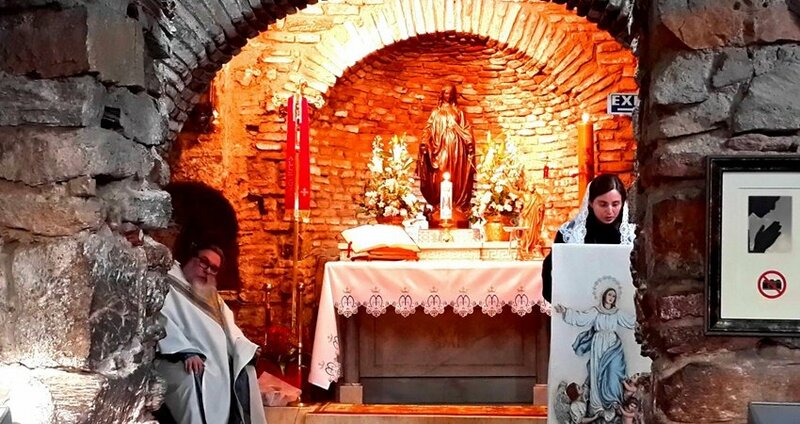 This tour provides a phenomenal opportunity for learning all about historical and cultural aspects of Ephesus. 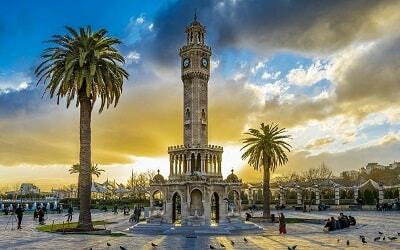 There are professional tour guides who will help you and answer all the questions you might have. All tour guides speak English language fluently and will provide you an unforgettable and relaxing experience. On Icmeler Ephesus Tour, Ephesus is not the only place you are going to visit. This tour also includes a visit to the shrine of the House of Virgin Mary over the Bulbul Mountain, which is located around 9 km from Ephesus. 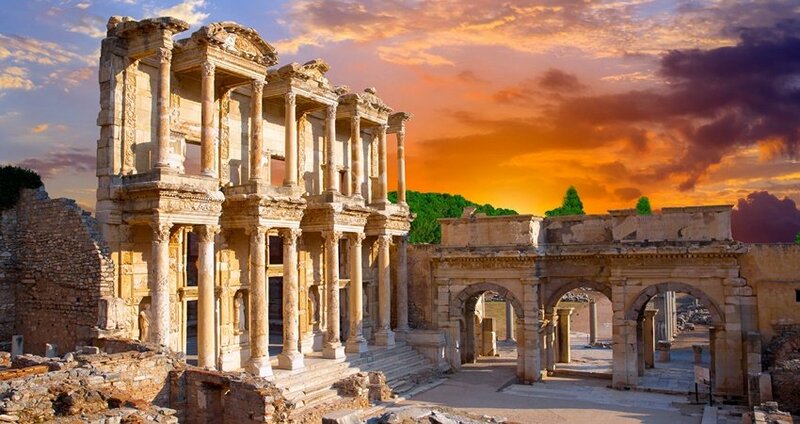 Library of Celsus is a very interesting place for history fans as well. 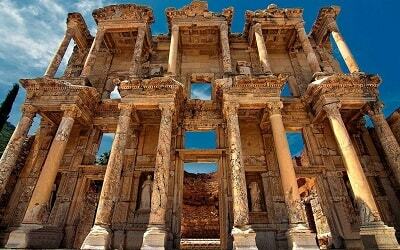 It dates back to second Century A.D. and it is the third richest library in the whole world after Pergamum and Alexandria. There is also The Grand Theater of Ephesus which is known as the largest theater in Anatolia with 25.000 seating capacity. 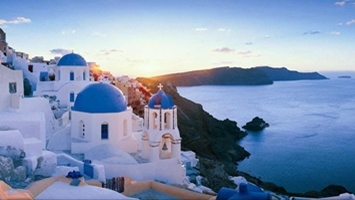 Cultural tours are most prefered tours while being on vacation. 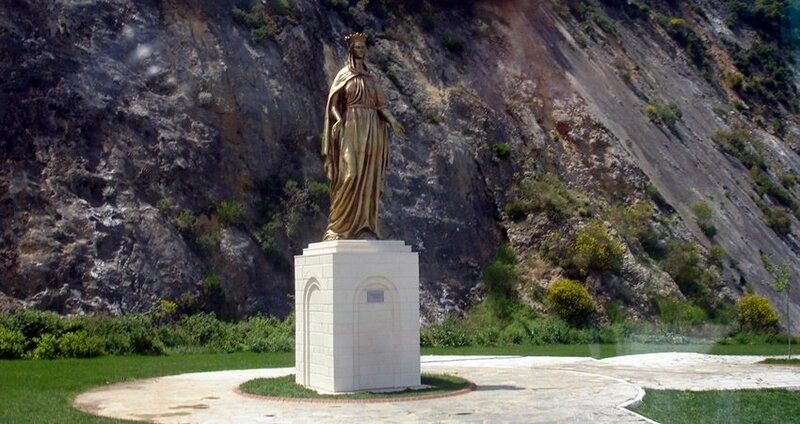 Almost every tourist wants to know more about history and cultural heritage of the place he or she is visiting. 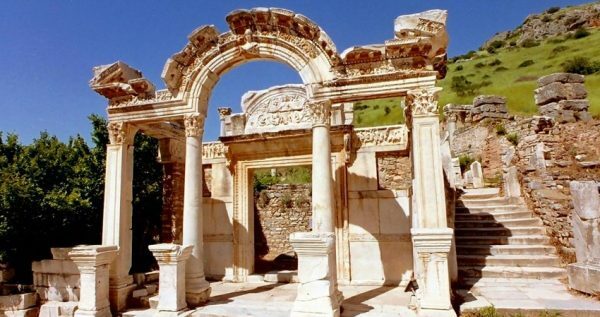 Ephesus is definitely number one on the list of places tourists visit while spending their holiday in this part of Turkey. 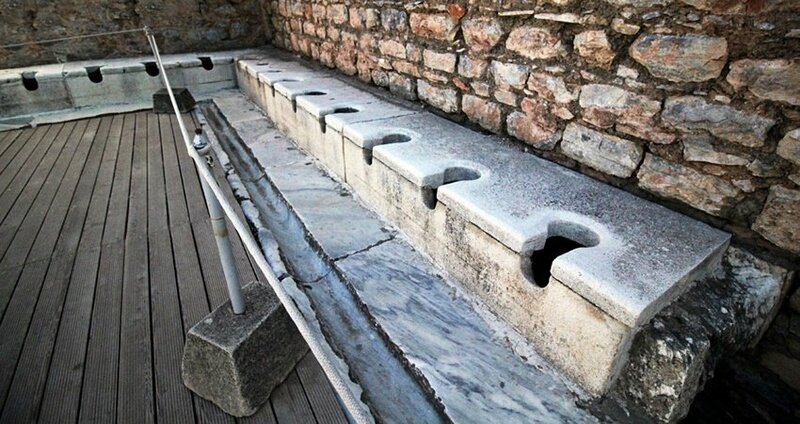 When you decide to visit Ephesus make sure to bring some sun cream, sun glasses and a camera. You should also wear some comfortable shoes, light clothing and a hat. 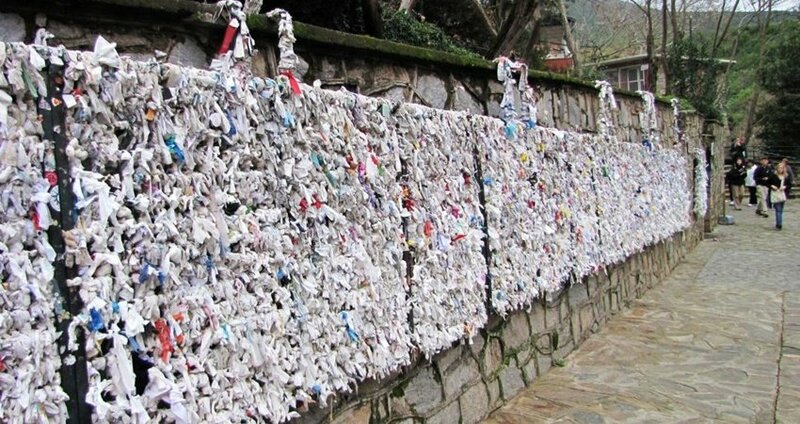 There is going to be a lot of walking involved, so if you have walking difficulties this isn’t the right tour for you. Do not worry about it! There are still so many other cultural tours that don’t involve as much walking. 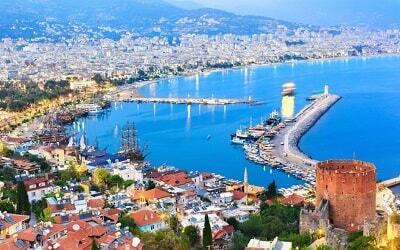 Icmeler Ephesus Tour starts early in the morning, and that is why, we have arranged a tasty breakfast in a charming local restaurant in the province of Mugla. You will also get to choose your beverage between a refreshing drink, a cup of tea or coffee. This meal is included in the tour price. 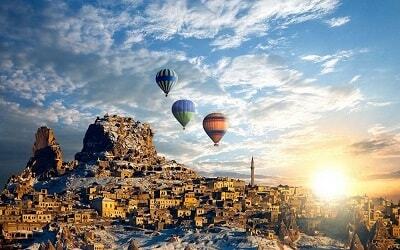 After we’ve had our breakfast, we will continue with our trip to Ephesus. All of our busses are cozy and spacious, and they all have air-conditioning so you don’t have to worry about our trip being uncomfortable. 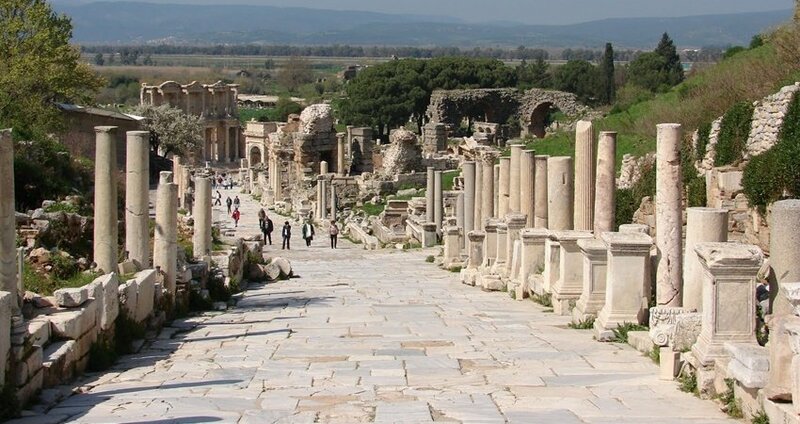 Once journey is over, we will start our marvelous visit to the ancient city of Ephesus. The visit itself will last for about two hours. That is plenty of time for you to take a walk through the past of one of the most powerful ancient civilizations known to mankind. Our English-speaking guides will tell you various stories and legends, as well as some amazing historical facts, as you take a stroll through the astoundingly well-preserved remains of this great ancient city. Once our visit to Ephesus is ends, we will have a delicious open buffet lunch in a fancy restaurant nearby. After lunch, you will get some free time in the charming town of Selcuk, so you can relax and have a refreshing drink at a local cafeteria, or explore other historical sites, such as: Archaeological Museum, The Temple of Artemis or The House of Virgin Mary. Our experienced guides will give you all of the necessary information about these unique sites, so you can choose where you want to go. in Ephesus. Book your day trip to Ephesus from icmeler and you won’t regret. 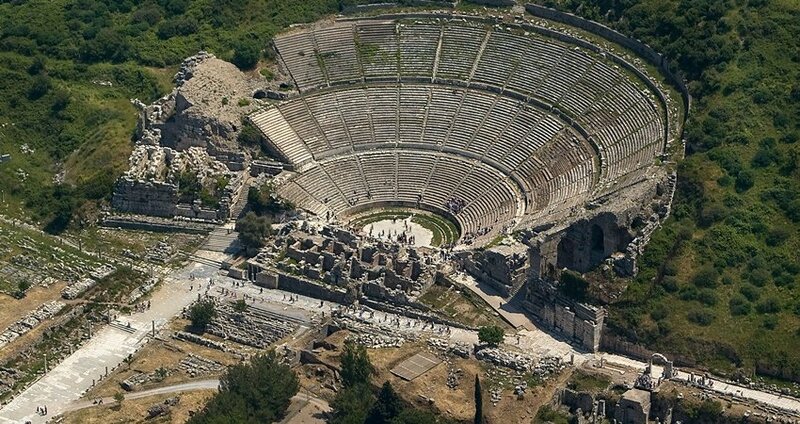 Ephesus is waiting for you and your friends. We expect to be in Icmeler at about 7pm. Our driver will drop you off in front of your hotel so you can relax and unwind. You may like to take a look at our Ephesus & Pamukkale Overnight tour.